When you give of your possessions, you give little - It is when you give of yourself, that you truly give. -- This short but powerful statement encapsulates the heart, the walk and the life of the late Orlando K. Perry. Born in North Carolina, the young Orlando Perry moved to South Bound Brook at the age of 12. He attended the Robert Morris School where he was a member of the student government and later led a singing group at the graduation exercises. It is said that he loved gospel music. He later graduated from Bound Brook High School and soon after began his study of mortuary science at the American Academy of New York. Orlando Perry's passion was to build his own funeral home. He first started in the funeral business by working as an apprentice to a Mr. Anderson in New Brunswick. Mr. Perry continued to feed his passion until the young age of 26, when he established his first funeral home at 32 Waverly Avenue in Newark, N.J. Eleven years later he challenged himself and erected an even greater and larger monument of his dream. Surrounded by rock gardens, birch trees, beautiful flowers, a private street and an extended paved parking lot, stands the Perry Funeral Home at its present location at 34 Mercer Street in Newark, NJ. Using the funeral home as a vessel, Orlando Perry was able to extend his warm heart, arms and generous spirit to the communities by providing a great service to grieving families. His generousity fulfilled his obvious calling to the ministry of helps. His compassion was not only demonstrated in the confines of Perry Funeral Home, but it went wherever it was needed- to the community, the church and the family. "Young people were encouraged by the scholarship funds he donated to, the sponsorship of debutants, basketball and bowling teams and Toys for Tots annual Christmas drive." "Ministers in need could always find a willingness to give from Mr. Perry for whatever their congregation needed." "Politicians were supported non-partisanly." "He always seemed to know when family members were in need." 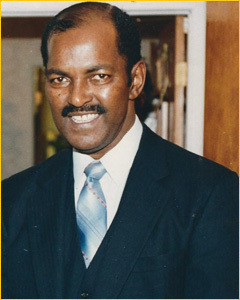 Orlando K. Perry went to be with the Lord on November 17, 1990 at the age of 57. He leaves behind a legacy so profound, the community felt it necessary to honour him with a street being named after him- O.K. Perry Plaza. Of Orlando K. Perry it can only be said, "He served his family, He served his community, He served his church, He served his country, He served his fellowman, But most of all- he served his God." Perry Funeral Home strives to be the premier provider of compassionate, efficient, and dignified funeral service by creating meaningful funeral and memorial experiences for the families and communities we serve. 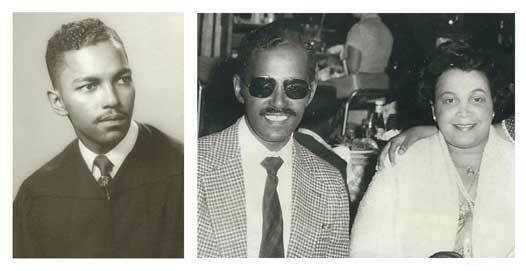 The late Orlando K. Perry had a vision of building his own funeral home. His vision was realized with the establishment of the elegant Perry Funeral Home. 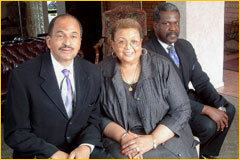 Since 1958, Perry Funeral Home has faithfully served the Greater Newark community. The Staff's kindness, compassion and professionalism have encouraged families throughout the area to depend on the Perry Funeral Home to help them through the trying time of dealing with the death of a loved one. Perry Funeral Home is…"Dedicated to Serving Families with Compassion and Dignity"